My Yacht Delivery Company Recommendation! People often ask me some advice about which yacht delivery company to use. Because I have been a yacht delivery skipper myself, I've seen how things work in the industry. I've also seen how other companies and skippers work. And my thought was that such a company is only as good as the people who are working for it. Now, this is true for each company, but this job isn't an office job and you need safe and reliable skippers and crew to deliver a sailing or motor yacht in the best condition. What I liked about Reliance Yacht Management is that they know their skippers personally and they keep records of all crew. To become a yacht delivery skipper with them, you first need to sail with them for so many deliveries and each time, the skipper evaluates the candidate. This way, you get to know how they work, and Reliance Yacht Management gets to know you. This can sound very logical, and it is, but not all companies work like this. So, the best candidates become yacht delivery skippers. Reliance assists them with finding good quality crew. I've been there and I've went through the ranks myself with Reliance. I know Nick Irving, the founder and director, personally and he's been always honest, professional and reliable. He makes sure your wishes are accounted for. I've been in the headquarters in Farnborough, England, and I've seen a dedicated team who are on each and everybody's case. On their wall, there's a big worldmap with all the boats that are being delivered at that moment. They keep track, with actual GPS trackers, of the movement of the yacht. 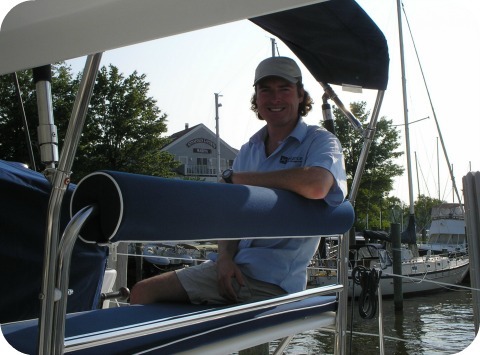 Because Reliance Yacht Management has been in the industry for a long time, Nick Irving's network is large and he and his team will manage everything that comes with the delivery of your yacht. They don't only do yacht deliveries, they can give you an overall service. For example, once they had to bring 3 brand-new catamarans from the factory in France to Australia. Now that's a trip, isn't it? Well, after the commissioning and rigging of the 3 cats, Reliance Yacht Management sailed them to Zeebrugge in Belgium, where they were put on a cargo ship. 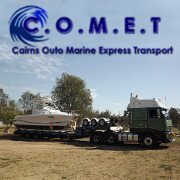 Arrived in Australia, the catamarans were delivered to the client ready to go! It's one-stop shopping, which is important when you get these more complicated boat transports. Enough talking! This video from the yacht delivery company shows you how they work... I can only recommend their way of working! If you are thinking to get your yacht delivered somewhere around the world, get a quote from them. They will respond to you quickly and you'll get a no-obligation yacht delivery quote! How should Reliance contact You?